All jokes aside, bureaucracy is a recurrent topic when talking to internationals in Leiden. But fear not: if I and my somewhat debatable organizational skill could make it in complying with all rules, there’s no reason you shouldn’t either. It all starts when you receive you acceptance letter. After this, the University emails you an outline of the procedure and steps. If you’re a non-European citizen as I am, you must apply for both a Visa and a residence permit. This includes filling in many, many forms (luckily, in English), making copies (many, many copies) of the requested documents, submitting a proof of sufficient funds to fund your stay (in my case, what seemed like a simple request for my bank manager turned into two three-hour-each visits to the establishment). And, of course, the payments – No such thing as free lunch, my friends. Aside from the payment of the housing deposit , there are of course the visa and permit fees (in my case, the modest amount of 600 Euros) … You might end up with a slightly lighter wallet, but believe me, its all worth it, every penny, once you get here! Also, you have to submit an original passport photo. Simple huh? This is not your ordinary photobooth picture we are talking about. There is a whole guideline to it. Think Japanese-tea-ceremony precision applied to photography. Still, you don’t need to start posing in front of your mirror now to guarantee the right angle! Just call up your local consulate/embassy and ask which establishment they recommend for taking pictures. These guys are already familiar with the guidelines and will make you look like a proper visa deserving person in your picture! After you’re done with all this, be sure to send in everything on time to your admission’s officer! I can’t stress this enough as if you don’t keep up with the deadlines, it might delay the rest of your process. Then my friend, you’re in for the game. 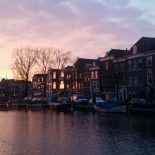 If everything is ok, you will receive email confirmations, further instructions to collect your visa and which other documents to bring with you when arriving in the Netherlands. Get your room, sign your contract, get a bank account, find friends, discover where Einstein is, what stroopwaffles are and then attend your town hall registration (booked in advance via the university’s website). For this, be sure to bring your legalized birth certificate with an apostille (Thanks Wikipedia!). Don’t forget this ; otherwise you’re in for a bit of a headache! And, in some cases (obviously mine too, why not add another procedure? ), you’ll have to attend a TB exam. For those afraid of blood or needles don’t worry, this is only a quick scan of your chest and you’re done in 15 minutes. And in a glorious day, you will receive an email saying you can collect your residence permit, the ultimate goal! Now go and start living la vida dutch! All in all, try to be organized and keep the deadlines. If you stick to it, you’re in the path to success! And, of course, always keep your admission’s officer in the loop. They will be your best friends in this process (and here, my eternal gratitude to mine, who patiently answered all my questions and reassured me throughout the process!). The University supplies all official guidelines online. When your time arrives, be sure to pay attention to them and to the official information you receive. 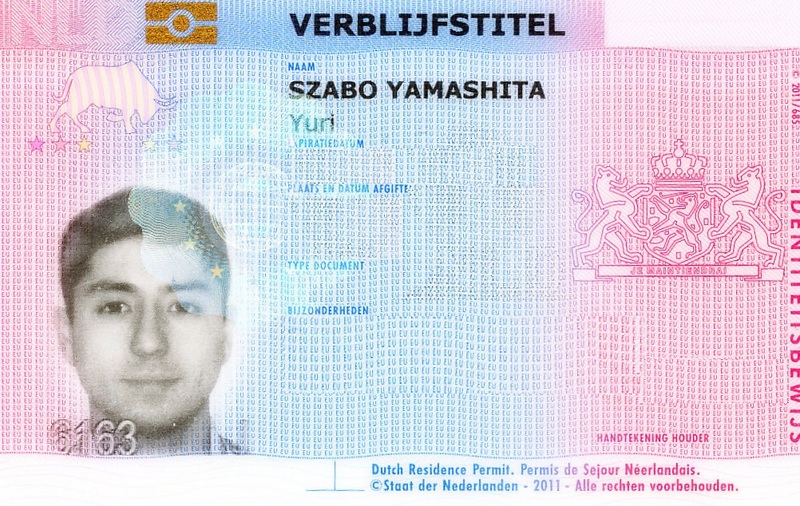 This entry was posted on October 9, 2012 by admin@theleidener in Practical Stuff, Yuri and tagged application, bureaucracy, International, international students, leiden, leiden university, master's, netherlands, new to leiden, procedures, Residence permit, Visa.